WTI is currently trading at $51.8/barrel. Immediate support lies at $48 area and resistance at $54 area. 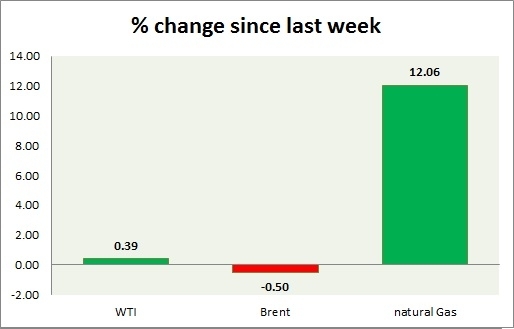 Brent is trading at $8.4 per barrel premium to WTI. Brent is trading at $60.2/barrel. Immediate support lies at $56 area and resistance at $62 region.